Treat yourself with the matchless taste of hot, delicious rice with this amazing product. The all-new VRC 2.2 (S) is exactly the rice cooker you have been longing for. Coming to you with a premium double later outer body, this product ensures that your rice stays warm for a longer period with its Keep Warm function. 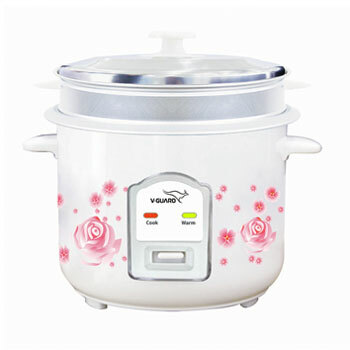 This product gives you an additional advantage of including a steamer pot and a rice cooking plate. You can enjoy faster cooking and also be assured of a 5 year warranty for the heating plate.